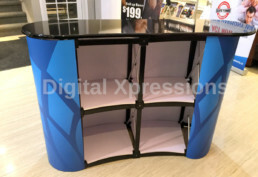 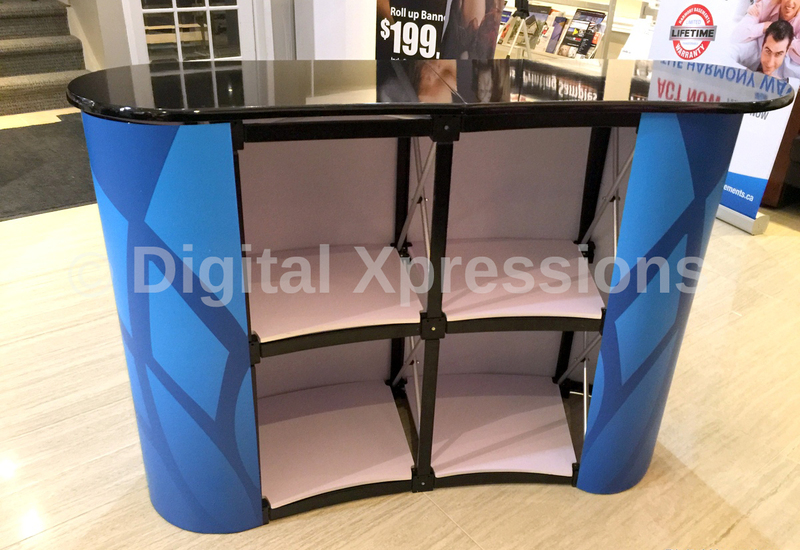 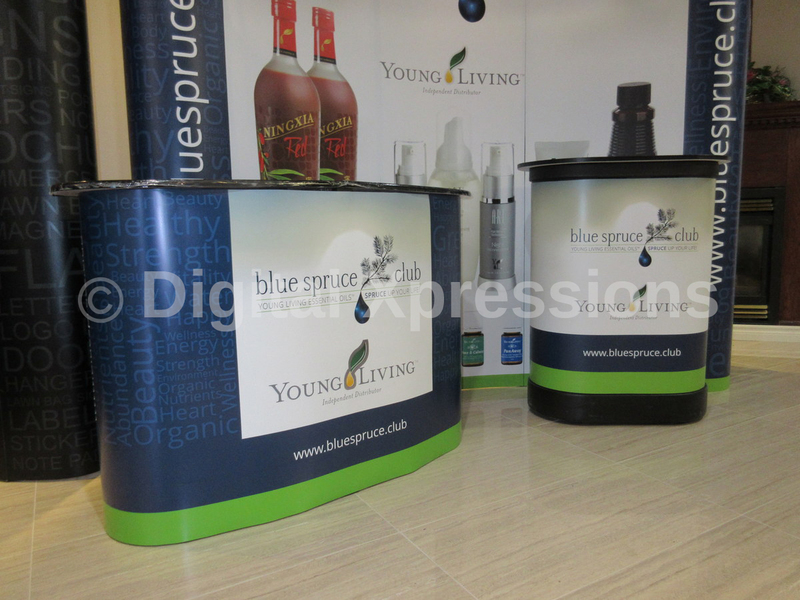 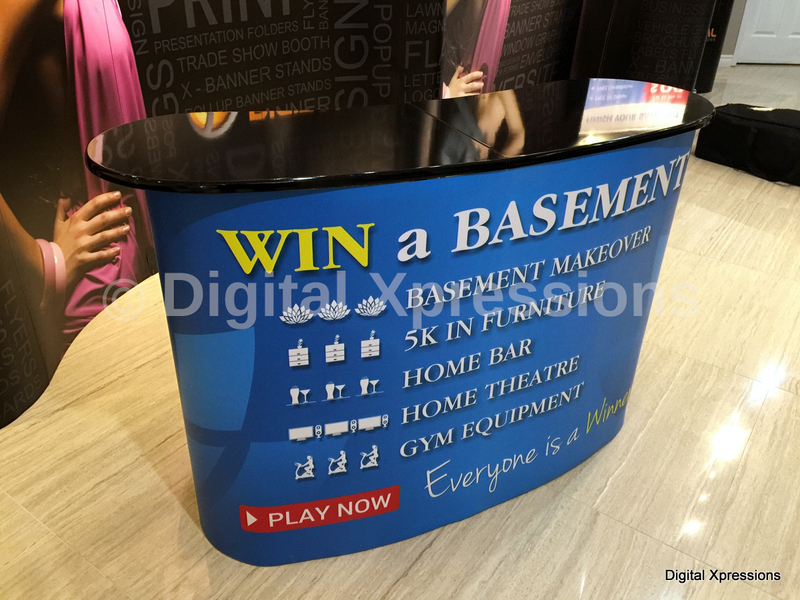 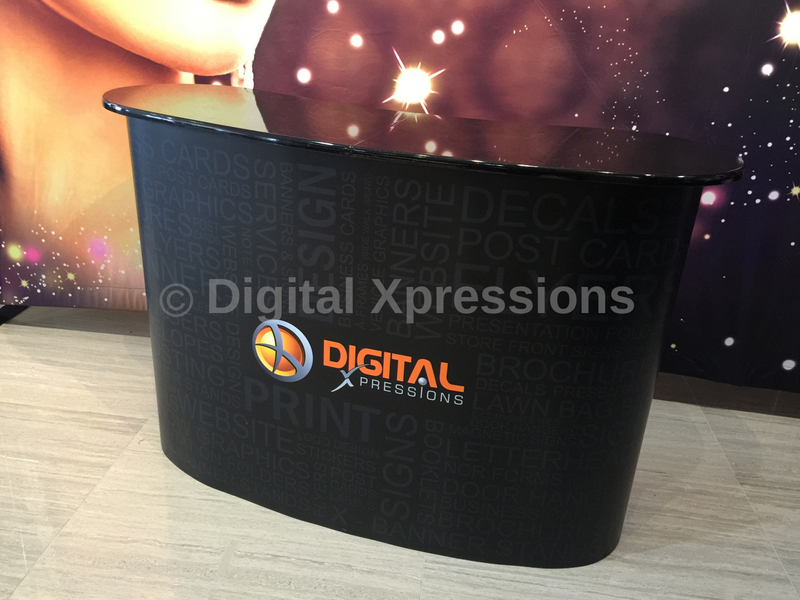 Pop up counter table is always used for better branding. 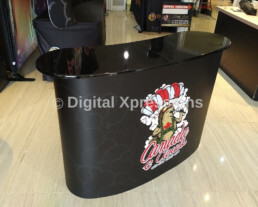 There various kinds of pop up table available in market and they are of different sizes. Our display table is wide, enough spacious, with proper support. 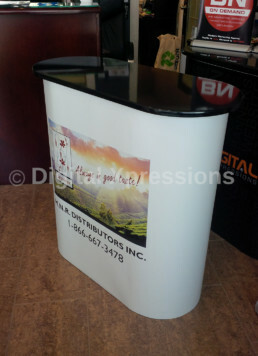 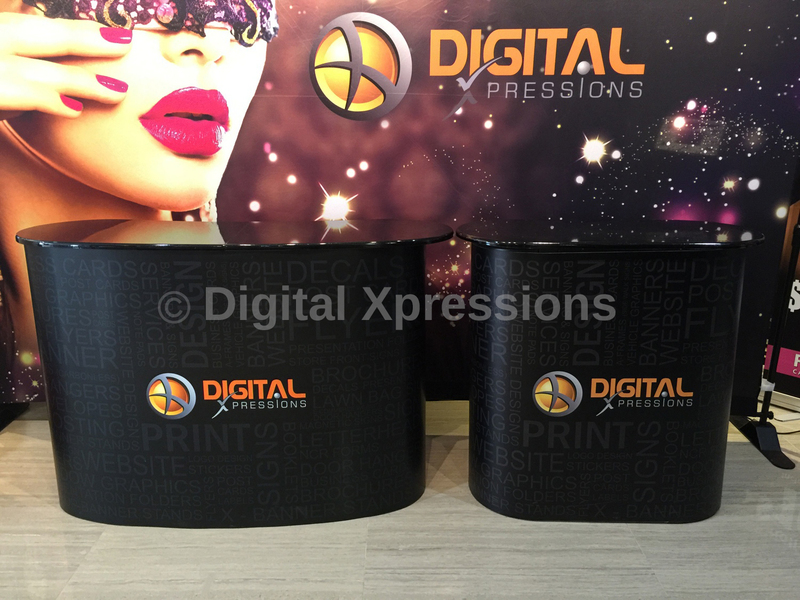 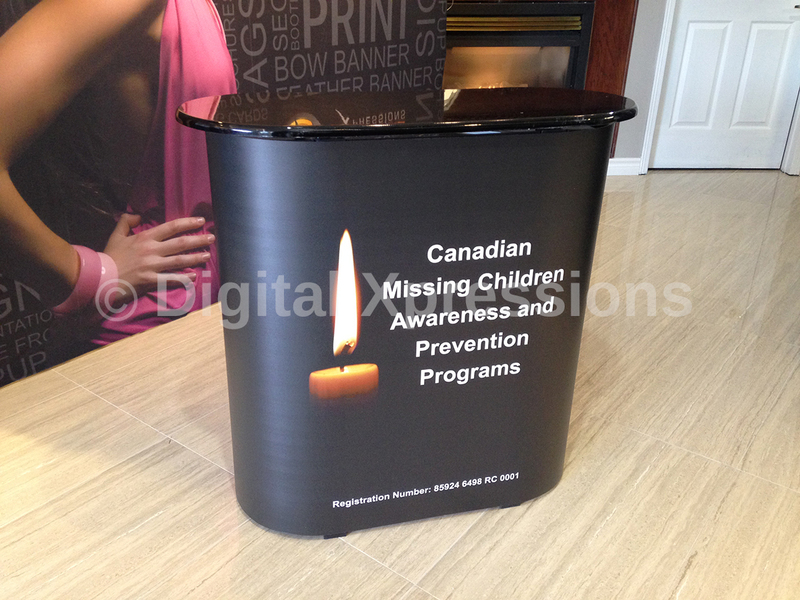 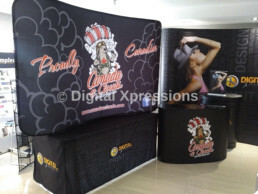 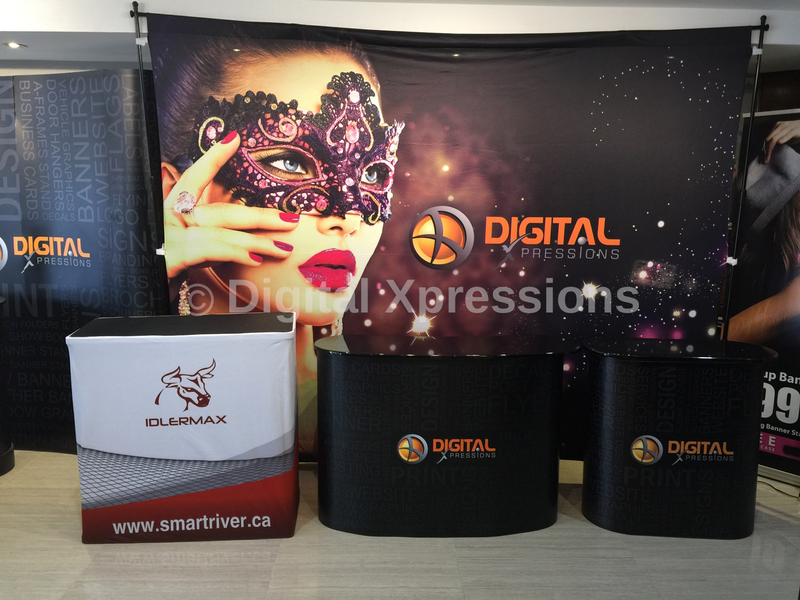 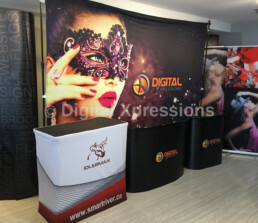 The trade show counter tables are sturdy and less in weight so is portable. 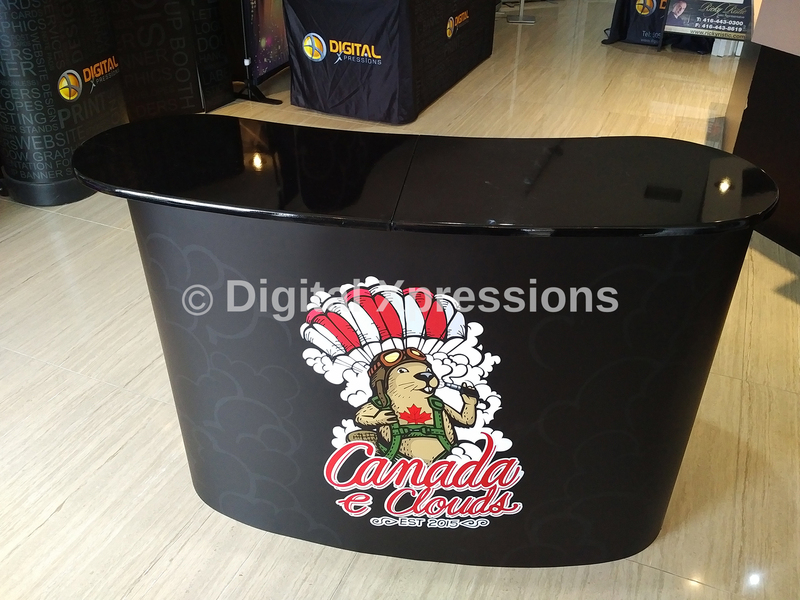 The display counter table is made from durable material. 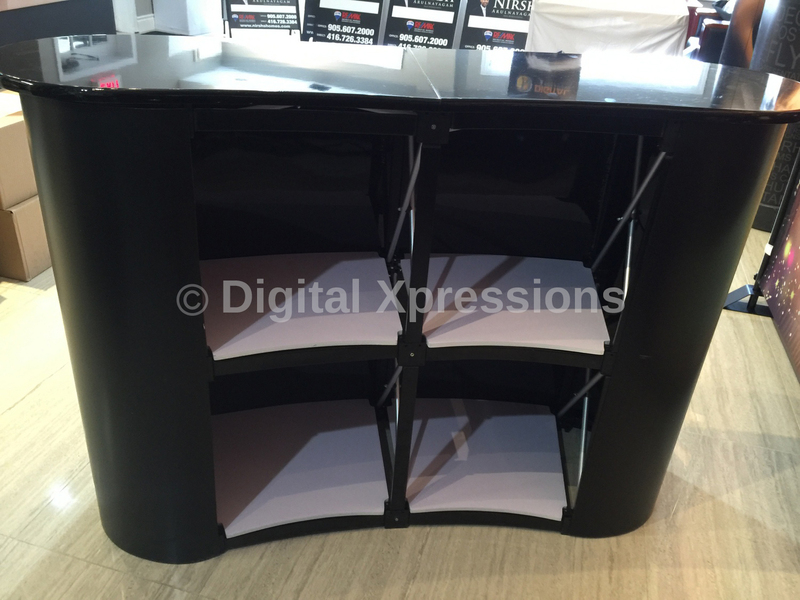 You can organise or display magazines, flyers, pamphlets, brochures to attract potential customers visiting your trade show display. You can make it look more stylish by attaching various accessories or by pasting you company logo and display image in front of it. 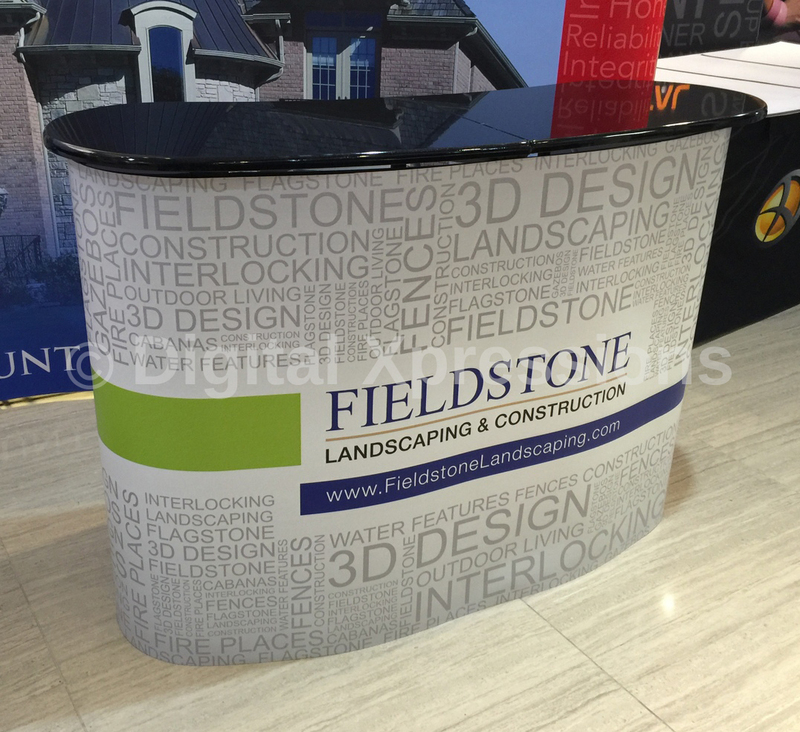 Retractable aluminum base unit with leveling foot (silver or black). High-resolution graphic print (dye-sub fabric or soflat vinyl). Padded nylon carrying bag with shoulder strap.